Despite a considerable number of studies, there are two major drawbacks in the literature on grief and bereavement. One is a lack of adequate and generally agreed upon measures for assessing grief. The second is a lack of ability to predict from existing measures the likelihood of what has been termed “chronic” or “pathological” grief reactions. This paper reports the results of the development of a bereavement measure for the study of perinatal loss which attempts to address these gaps. The measure is specific to a pregnancy-related loss, although it has the potential for adaptation to use for other types of loss. Analysis of responses from 138 women has resulted in the reduction of the original measure from 104 to a more manageable and almost equally comprehensive and reliable 33 items. In addition, a factor analysis has produced three factors, two of which indicate the possibility for longer-term and more severe grief reactions. 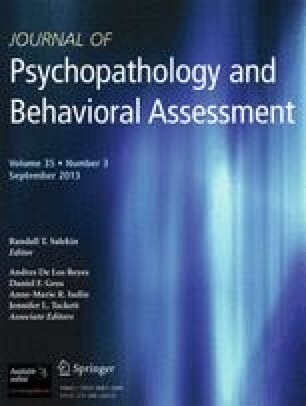 Because of its sound psychometric qualities and interesting factor structure, the measure shows promise of being useful for both research and clinical purposes. This research was funded by National Institute of Child Health and Human Development Grant R01 H18431-04, with additional assistance from the Center for Social Research at Lehigh University. Dr. Potvin is supported by the Quebec Health Research Fund.